I would dream of automatic cars, but they were unheard of and available only in high end models. After a couple of months, I gave up. However, when I was in the Philippines, the need to drive was even more as public transport was really expensive but automatic cars were more easily available than manual cars. On the insistence from a friend, I learned how to drive, and it has been one of the best things I have done for myself. I felt so empowered and independent. 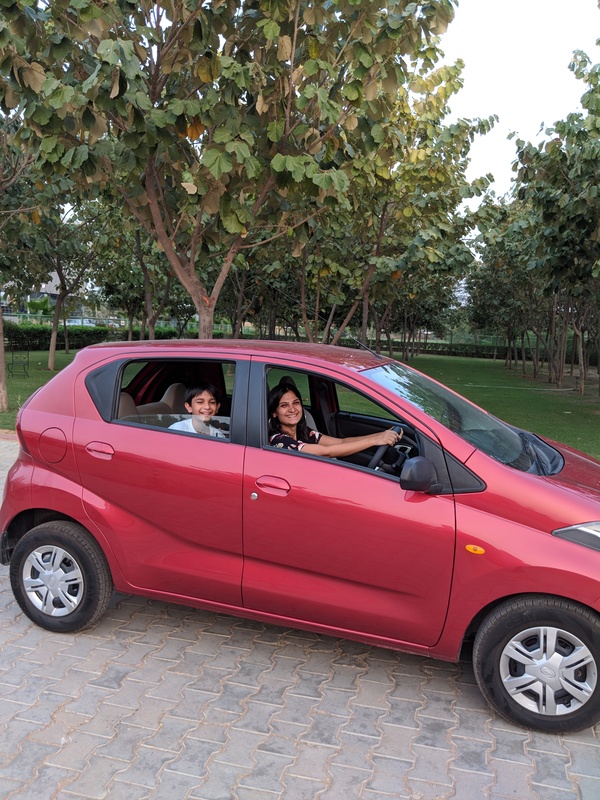 Fast forward to my life back in Gurgaon and I was certain that I would stick to an automatic car even if I’m made fun of (for some reason manual drive is still considered cool here) and I’m happy as can be about my decision. 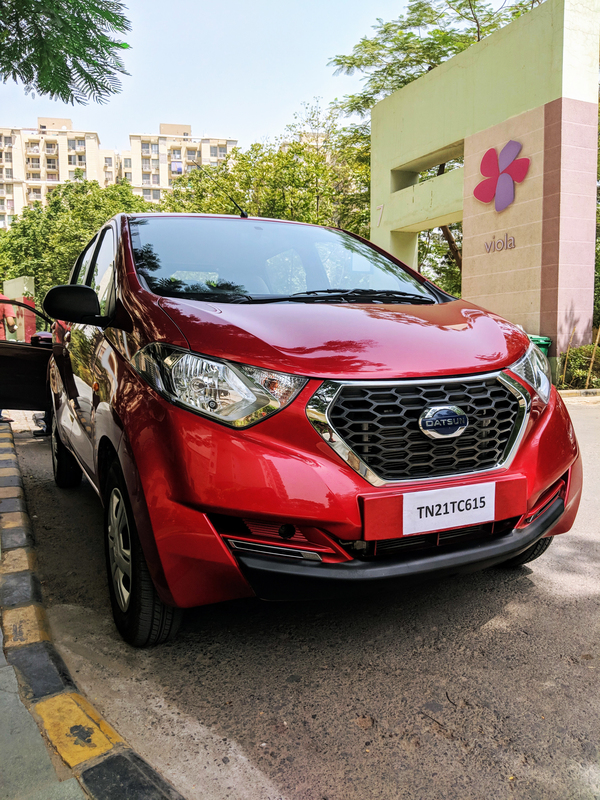 And as luck would have it, I recently got to experience the Datsun redi-GO AMT. 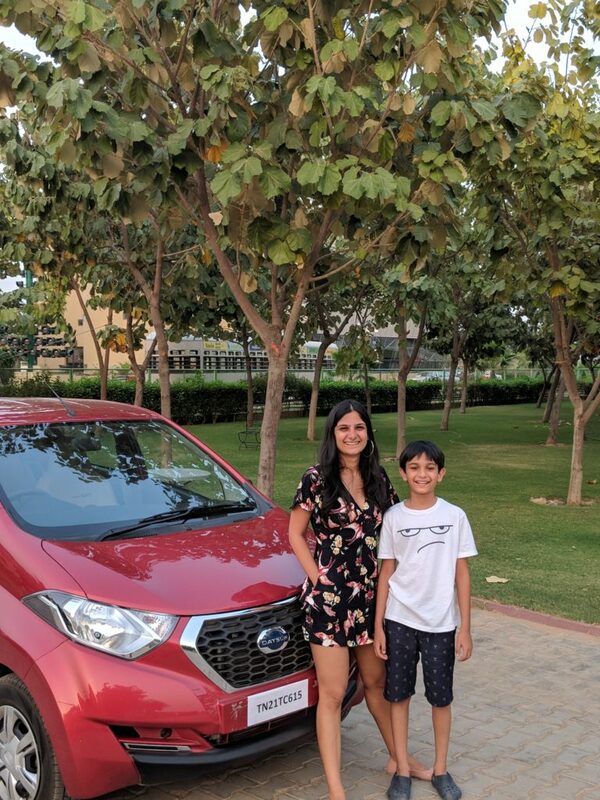 I had been meaning to take Kabir to the Heritage Transport Museum for a while and thought this would be the perfect opportunity to do so as it’s almost an hour from my place and a mix of city and highway drive. And like any new gadget or new technology, it takes a bit of time to get used to the new car. The car is compact yet there is enough leg room in the front and at the back, making me feel tall. It offers excellent ground clearance considering the roads in Gurgaon (just like every other side of this city!) has lots of potholes and a big one right outside the house. I am impressed how the car did impressively well negotiating these. Even though the drive to the museum is a bit long but the visit is totally worth it. Not only is it well maintained and has an excellent collection of vintage cars, the audio tour and documentary about planes is something even I enjoyed. Anyways, getting back to the car, the Air Conditioning works great and I’m talking about 40 plus degrees here. 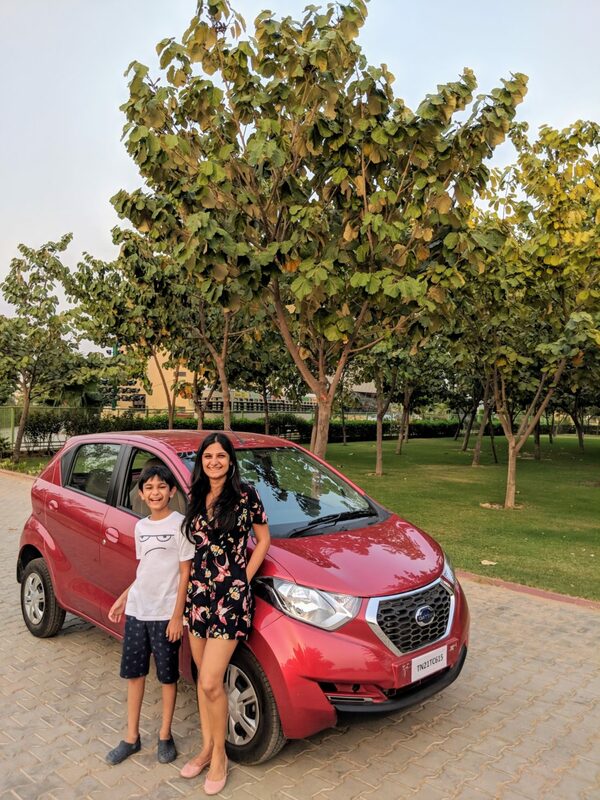 Delhi summers do take a toll on you, but with Datsun redi-GO AMT the ride was pleasant and the best in class AC was like the cherry on the cake. The drive was smooth specially when we hit the highway as it was cruising comfortably. What gave me a lot of confidence is that it comes with an airbag which a lot of hatchbacks don’t have. 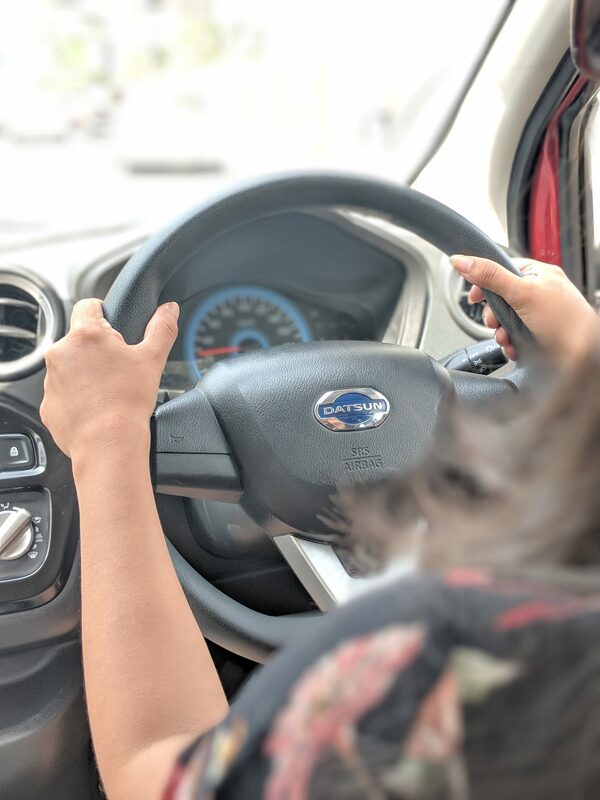 It definitely made me feel safer behind the wheel, especially while driving with my kid, safety is my priority. The shorter turning radius is the other big help especially when you are driving within the city and must squeeze in to small alleys. The interiors are aesthetically done up and I liked how the they looked in the evening. After spending a couple of hours at the museum we headed back and I decided to pick up some groceries. And like most people, good boot space is critical for me. The boot is spacious, deep and convenient to carry luggage as well. By the time, I was done with the groceries, the traffic had peaked so I used the rush-hour drive mode which makes driving easy in bumper to bumper kind of traffic. Basically, the mode allows the car to inch forward slowly, at a speed of 5-6 kmph, upon releasing the brake pedal in Drive mode which can be very annoying in a manual car. 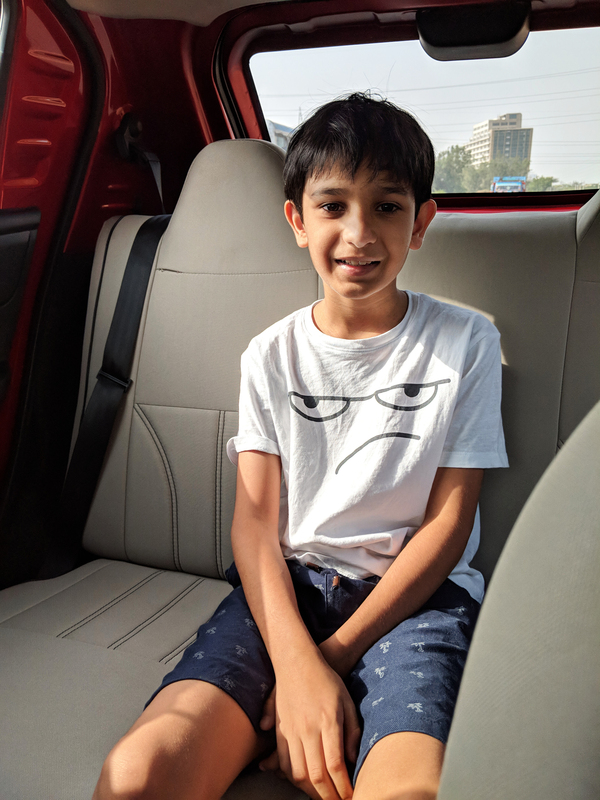 When I asked my 10-year-old son to tell me what he felt about the car, he said “it’s compact, very comfortable and I enjoyed the ride”. And guess what, the car comes with manual transmission too!